Should Phone Calls Be Allowed On Airplanes? 10 years ago, the use of a cellular connection on an airplane was strictly prohibited. Why? According to this Wall Street Journal Article, cell phone use was banned because phone signals from high altitudes would hit hundreds of cell towers, using an extraordinary amount of bandwidth in the process. However, this is now longer an issue. Now, over 20 airlines around the world allow cellular connection during flights. To be clear, this does not mean using Wi-Fi or your phone on airplane mode. This means using a cellular connection. And with a cellular connection comes the possibility of phone calls. If cellular connection is legal according to the corresponding governing bodies, it is up to the airline if they want to allow in-flight calls. As more and more governing bodies allow it, more and more airlines will soon have to decide if they will allow phone calls or not during flights. People are typically not neutral on this topic. They either want phone calls to be allowed, or are very much against phone calls on an airplane. What follows is an argument for each side of the debate. The argument for making phone calls on an airplane is pretty simple and obvious: passengers no longer are incapable of making a phone call for hours at a time. Whether it be pressing business, or more leisurely conversations, people who are in favor of in-flight calls want to to handle these things through a phone call. Those in favor of in-flight calls note that some airlines already allow phone calls, and there have been few problems with it. An executive of Emirates, which allows phone calls, notes that it has not been a problem, because other noise on a flight reduces the noise of someone speaking on the phone. If people keep their voices down and calls short, which some would see as a common courtesy, then phone calls during flights may be a nonissue. 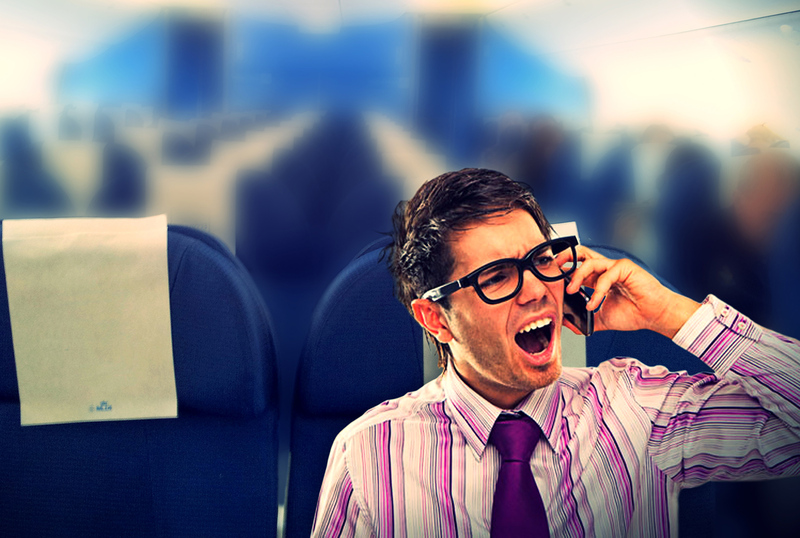 People against phone calls on airplanes fear how annoying a phone call may be. Think about the person sitting next to you on a flight talking on their phone for an hour. This would very quickly become annoying to many people. Some are worried that such annoyances could lead to more arguments and even fights during flights. 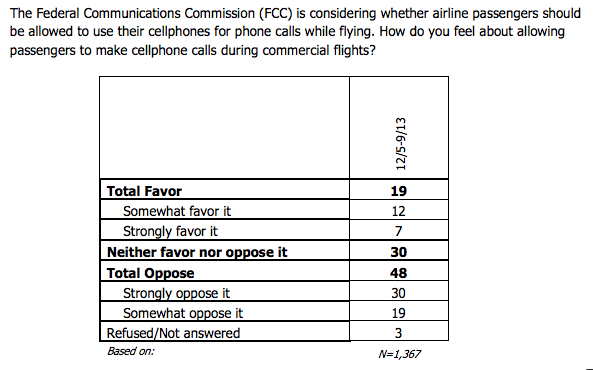 A GfK Poll indicates that many more people are against phone calls on airplanes than for them. Among respondents who flew at least four times in the past year, 78% opposed phone calls during flights. These are the people who fly often and would be affected more, and 78% represents a very strong opposition to the idea. Other results of the poll are shown below. Some airlines have already said they will not allow phone calls even if it does become legal. Delta Air Lines, one of the major airlines in the United States, has said it will not allow phone calls because consumer feedback has indicated people are strongly against it (see Delta’s official statement here). While both sides have valid points, I think there is a much bigger downside to having in-flight calls than upside. With advancements in Wi-Fi, passengers are becoming more and more capable of texting and emailing during flights. This is an easy way to communicate, and phone calls simply are not needed. I think the majority of passengers will be sincerely annoyed about the people around them making calls throughout the flight. Imagine experiencing the frustration of a three-hour flight delay, and then having to listen to the person next to you talk about things you have no interest in hearing about for a few hours. I applaud anyone who would not become annoyed over this scenario. While it would be nice to make a phone call during a flight, it is really not needed, especially if texting or emailing is possible. Please airlines, keep in-flight phone calls prohibited during flights. Uber currently has operations in 55 countries and over 200 cities worldwide. So if you are traveling to a city, it is likely Uber has a presence there, and you should know whether to use it or not. As Uber’s popularity has increased in recent years, people have been debating – is it better to take an Uber or a taxi? NOTE: For those who have not heard of Uber, see their website (https://www.uber.com/) to learn about the mobile app, because I am assuming readers of this article are knowledgeable of Uber. Taxis have been around long before Uber, but now Uber cars and taxis are fighting for the same customers in cities all over the world. So which should you choose? What follows is a comparison between Uber and taxis in particular categories to decide which you should use. 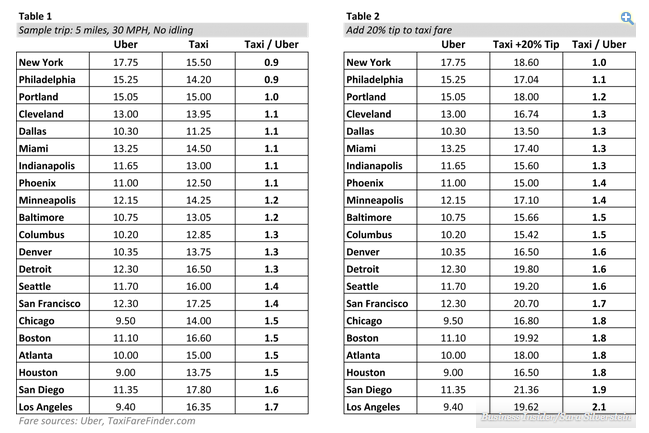 Price – The following article http://www.businessinsider.com/uber-vs-taxi-pricing-by-city-2014-10 breaks down the price comparison for Uber cars vs. taxis. The article provides informative charts and graphs such as the one below. Unless there is a ton of traffic, the article determines that Uber is cheaper, assuming that you tip your taxi driver (you do not tip Uber drivers, FYI). This is also for UberX, which is Uber’s cheapest service. However, this finding holds true only if Uber is not using surge pricing. If Uber is using surge pricing, which the app informs you of before you request a car, then taxis are almost definitely cheaper. Convenience – One thing people love about Uber is that the car comes to you. This is particularly important in bad weather such as the rain or cold, because people can wait inside somewhere until their Uber has arrived. In crowded cities, this is not as big of a deal, because there are taxis everywhere. If you think of Manhattan, yellow taxis dominate the streets, and it normally takes maybe a minute to walk outside and hail one. In less populated areas, Uber is definitely the better choice. You can check how far away Uber’s are on the app, and then call one when you want to go somewhere. While taxis may be sparse in less populated areas, Uber will come when you need it. The Ride – Often, taxi drivers have more knowledge of a location than Uber drivers. I was once in Atlantic City and used Uber, and the driver got completely lost on what was a very easy and direct trip. Hopefully Uber drivers getting lost is a rarity, but in places where being a taxi driver takes specific training, such as London, Uber might take you a slower route than a taxi would. Besides picking your type of car, Uber cars often have bottles of water, mints, and candy, which are complimentary. You also can choose your music. If you have Spotify, it can be linked with the Uber car for your ride. Even if you don’t have Spotify, all Uber’s come with an auxiliary cord, which can be used through your phone to play music. Some taxis do have small screens that show short news clips, which Uber does not have. In addition, you can wait until a SUV taxi comes by, which is the equivalent of ordering an SUV through Uber, but there is no guarantee when an SUV taxi will come. Payment – For taxis, you can always pay cash, and they often allow you to pay with a credit or debit card as well. With Uber, you must put your credit or debit card information into the app when you create an account. Thus you are charged when the ride is over, and receive an email receipt, as well as a receipt in the Uber app. This saves time, because you never have to exchange payment at the end of a ride. Uber also makes it easy to split payments, because you can ask a friend to split the fare during the ride, and he or she just has to accept on the app in order for the payment to be divided. And you can split with many people, not just one. The only downside of Uber’s prepayment system is sometimes they sneak in unexpected fees. For example, sometimes there is a $25 minimum on the Black Car. Uber does not inform you of this beforehand, so even if the ride costs $5, you will still be charged the extra $25. You never have to worry about this with a taxi, because the fare is running right in front of you throughout the ride. If surge pricing is occurring, then I advise you to try to find a taxi instead of using Uber, because the surge pricing can be an absolute rip-off. You have no schedule. When you have tours planned and visits lined up, you are on a schedule and do not have much free time. By walking around, the time is what you want it to be. You can walk for an hour or five hours. You can stop to look around at things for as long or as short as you want. Hungry? You have no schedule, so you can stop for food whenever and wherever you want. You will see something you could not have planned for. 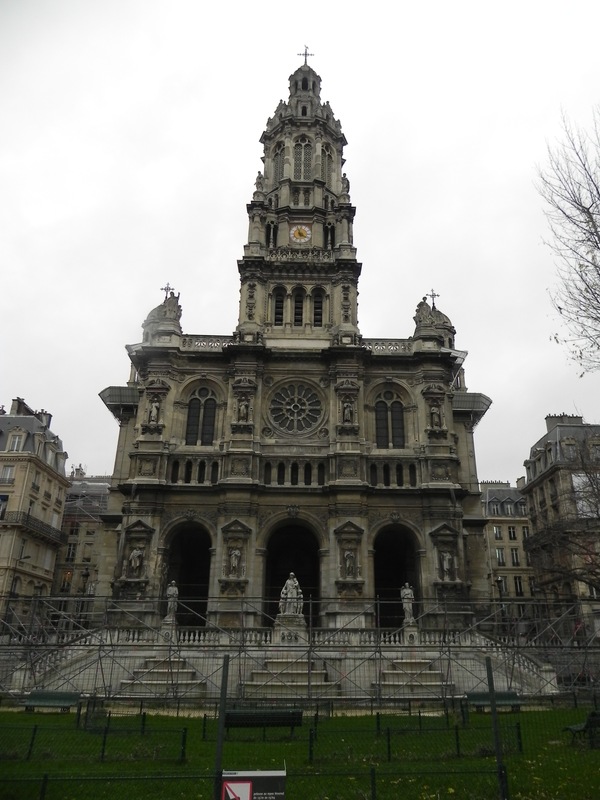 When I was in Paris a few months ago, my parents and I went on approximately a three-hour walk. We wanted a small break, and found ourselves eating lunch next to a busy street with a beautiful church that was hundreds of years old in the background (see photo below). There was no chance this would have happened had we not decided to explore the city by walking, and moments like this always seem to happen when I walk around a city. Walking around allows you to really see what it is like to live in that city. 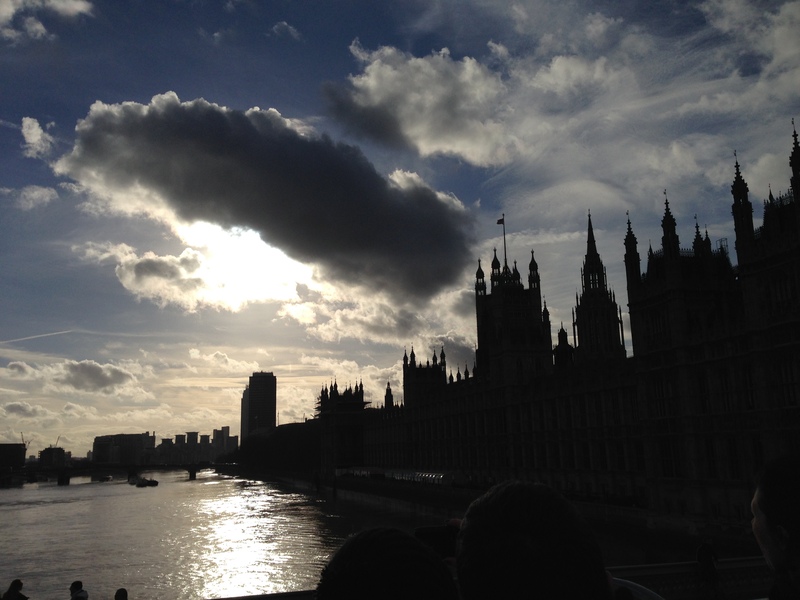 Often when you just do tours, you are around other tourists and do not really see what life is like in a city. By walking around, you experience what happens in that city on a daily basis. Have an area or two in mind that you want to walk around, so you are not roaming aimlessly. Make sure you are in safe areas. Go down the interesting looking side street. If you were looking to go to a historical landmark or tourist site, you can always start there and walk afterwards, thus allowing you to see the site and other parts of the city. Wear comfortable shoes. This is a trip or vacation, not a fashion contest. A major part of traveling is trying new things. Walking around cities gives you a great opportunity to see things you would not have seen, and experience places you might not have experienced. Plus, walking is good for you, and exercise can be tough to fit in during a vacation. 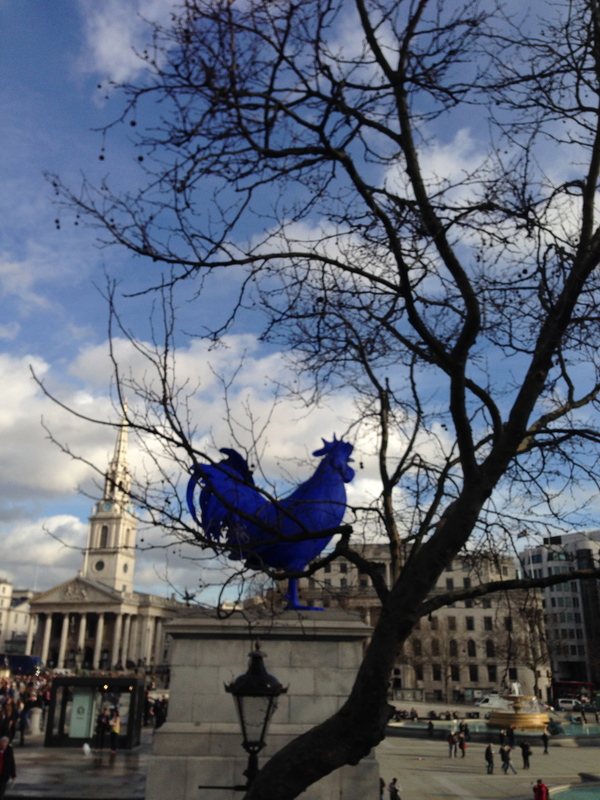 Of course, it is easiest to set aside a day to walk a city if you are in that city for awhile. If you are only in a city for a day or two and would prefer not to make walking one of your main activities, look for my post in the next few weeks about the efficiency of bus tours. Should You Buy In-Flight Wi-Fi? For my first post, I decided to talk about something that is often a major part of the travel process; airplanes. If you have been on an airplane in the last few years, you probably have noticed that some flights now have Wi-Fi available for passengers to use. Normally a passenger must pay a small fee to use the plane’s Wi-Fi, and it is then available to them for the entire flight. With four of the seven airlines having Wi-Fi on more than 50% of their flights, it is more than likely you will encounter Wi-Fi on your next flight. So what does this mean for your in-flight experience? 1. You do not feel shut off from the world for hours of a time. Wi-Fi enables access to most apps on your mobile device. This means instead of being isolated from the internet, it is still right at your fingertips. Whether it be social media, breaking news, sports updates, or playing your favorite game (that requires Wi-Fi), you can stay connected to the world during your flight. Even texting is possible depending on your phone. For example, iMessages on an iPhone can be sent and received through Wi-Fi. So not only is internet access available, communication with your friends and families may be as well. 2. You can be productive during your flight. Are you flying for business? You can still write and answer emails, instead of getting off of a flight and having the stress of new emails that need to be answered. Need to do some research for work or something personal? There is no better time than when on a flight, since you do not have anything to do but sit on a plane and maybe win the armrest war with your neighbor. These two ideas essentially sum up what you can do with the in-flight Wi-Fi: use it for leisurely purposes or for work. 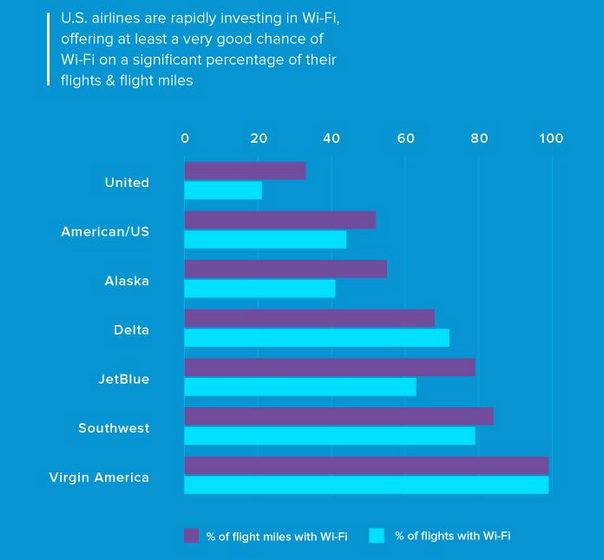 Each year, airlines are investing more and more into their planes having Wi-Fi. Considering that the cost of Wi-Fi is low for most airlines, and that you are in the air for hours at a time, purchasing in-flight Wi-Fi seems like an easy decision. Just do it.